Kevin caught this 275 lb Blue Marlin while deep sea fishing aboard the Sea Hawk. Aloha! 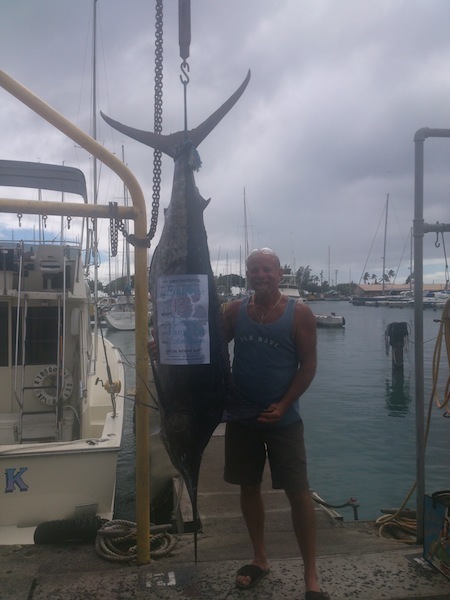 Mahalo to Jack for choosing Maggie Joe Sport Fishing! 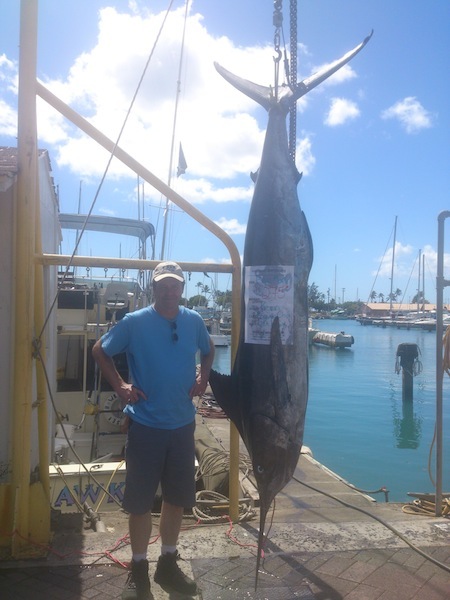 Jack joined Hawaiian sport fishing legend, Captain Mike, aboard the Maggie Joe. Captain Mike, as he’s known to do, put Jack on the other end of a Blue Marlin… Jack did the rest and brought the fish aboard. Aloha! 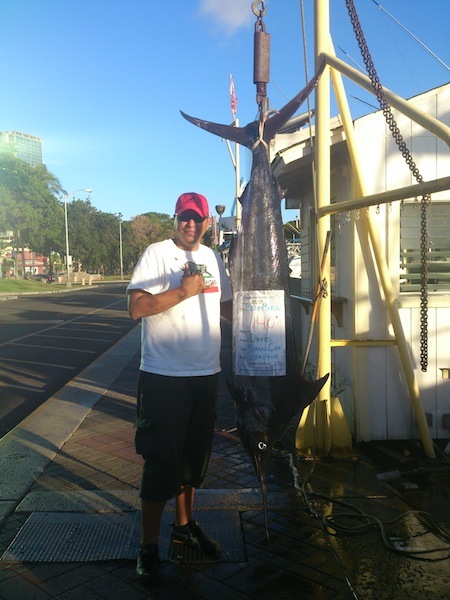 Big Mahalo to David for choosing Maggie Joe Sport Fishing! 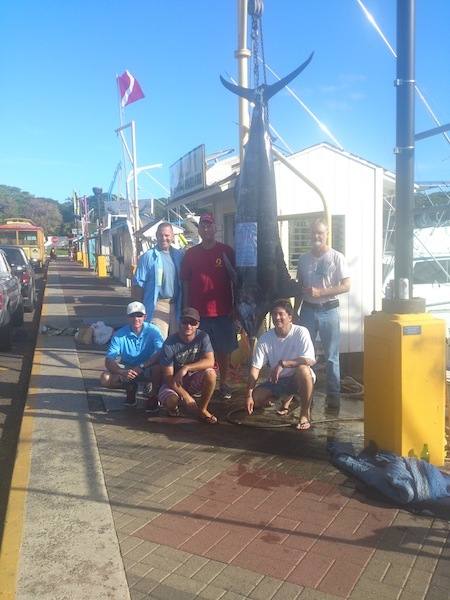 He hauled in this 130 lb Blue Marlin aboard the Sea Hawk with Captain Darryl. Aloha! Expect LOTS of fun aboard the Maggie Joe when Captain Mike is at the helm! The wily old seaman helps Tori and Margaret haul in a pair of Blue Marlin. Aloha! 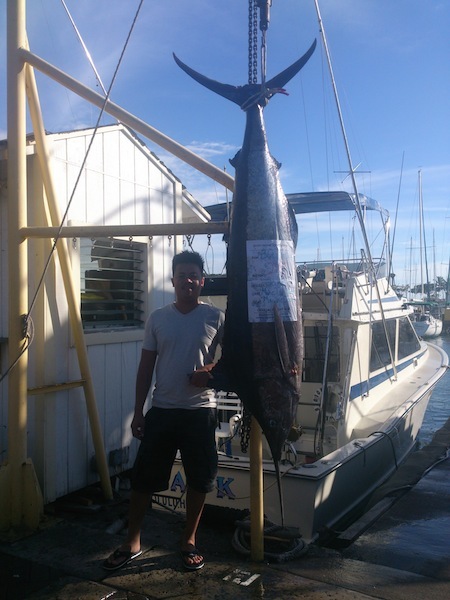 Mahalo to Clark for choosing Maggie Joe Sport Fishing! He caught this 385 lb Blue Marlin while deep sea fishing aboard the Sea Hawk with Captain Darryl. Aloha! 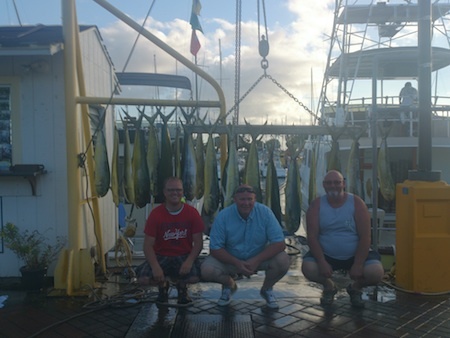 Mahalo to David for choosing Maggie Joe Sport Fishing. 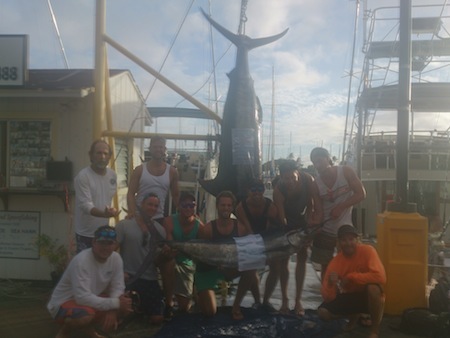 He hauled in this nice 140 lb Blue Marlin while deep sea fishing aboard the Sea Hawk with Captain Morgan. Aloha! 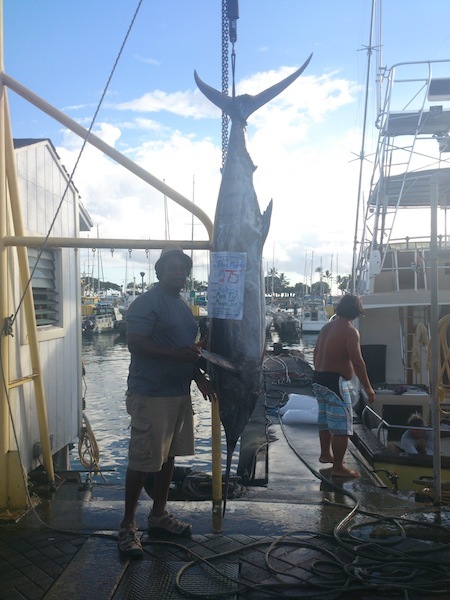 Rodney caught this nice 275 lb Blue Marlin while fishing with Captain Mark aboard the Maggie Joe. Aloha!